Discover the incredible underwater world of Racha (Raya) and Coral Islands on this full day tour! The overall service and safety of the tour guide is excellent. The whole journey is comfortable and relaxing. The reason for the missing star on the rating is because we had a rather adventurous and dangerous experience going to Ko Racha Yai. It was on a yellow flag (strong wind and waves) condition and maybe the tour guide should advised us not to visit the island. For safety reasons, participants aged 60+, pregnant women, people suffering from any medical or physical disabilities are not allowed to join this tour. This tour definitely worth every penny spend. I travel in a group of 5, initially we booked another similar tour but got upgraded to this instead(whixh we are happy about it). Driver pick us from our hotel on time. When we reach the port only then we found out that we are the only group so we kind of owned the while catamaran by ourselves (hooray). Free drink (coconut,cola,mineral,fruit wine, fruit,some light snack) is available FOC on board. Our guide name is Ah Bao (sorry if I get ur spelling wrong), he is very friendly and responsive to our needs. The only disappointment that we have is the WEATHER, just when we are all set to leave for the second prettier island (Racha island), rain happened!!! A heavy one that leave us with no choice but to turn back for our own safety. Our guide feel so sorry for us that he try to give us another option to snorkeling but we decided not to. We will definitely be back anytime soon to make this up....It is a very nice and relax experience and definitely worth to spend it with your love ones or a bunch of friends. This tour definitely worth every penny spend. I travel in a group of 5, initially we booked another similar tour but got upgraded to this instead(whixh we are happy about it). Driver pick us from our hotel on time. When we reach the port only then we found out that we are the only group so we kind of owned the while catamaran by ourselves (hooray). 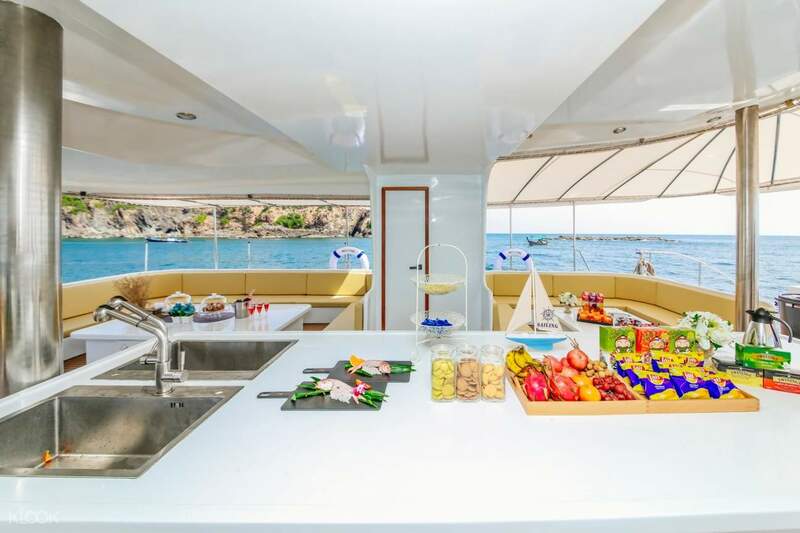 Free drink (coconut,cola,mineral,fruit wine, fruit,some light snack) is available FOC on board. Our guide name is Ah Bao (sorry if I get ur spelling wrong), he is very friendly and responsive to our needs. The only disappointment that we have is the WEATHER, just when we are all set to leave for the second prettier island (Racha island), rain happened!!! A heavy one that leave us with no choice but to turn back for our own safety. Our guide feel so sorry for us that he try to give us another option to snorkeling but we decided not to. We will definitely be back anytime soon to make this up....It is a very nice and relax experience and definitely worth to spend it with your love ones or a bunch of friends. The overall service and safety of the tour guide is excellent. The whole journey is comfortable and relaxing. The reason for the missing star on the rating is because we had a rather adventurous and dangerous experience going to Ko Racha Yai. It was on a yellow flag (strong wind and waves) condition and maybe the tour guide should advised us not to visit the island. The overall service and safety of the tour guide is excellent. The whole journey is comfortable and relaxing. 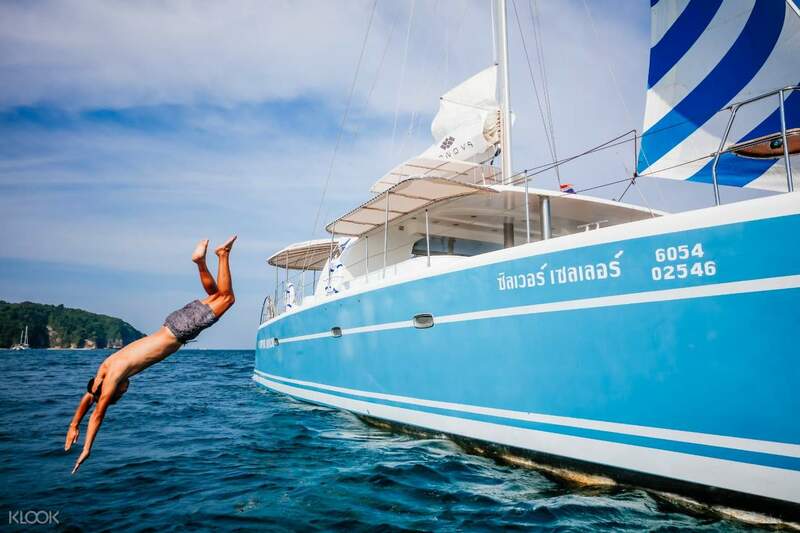 The reason for the missing star on the rating is because we had a rather adventurous and dangerous experience going to Ko Racha Yai. It was on a yellow flag (strong wind and waves) condition and maybe the tour guide should advised us not to visit the island. nice and interesting trip. tour guide was friendly and helpful. his team crew too. 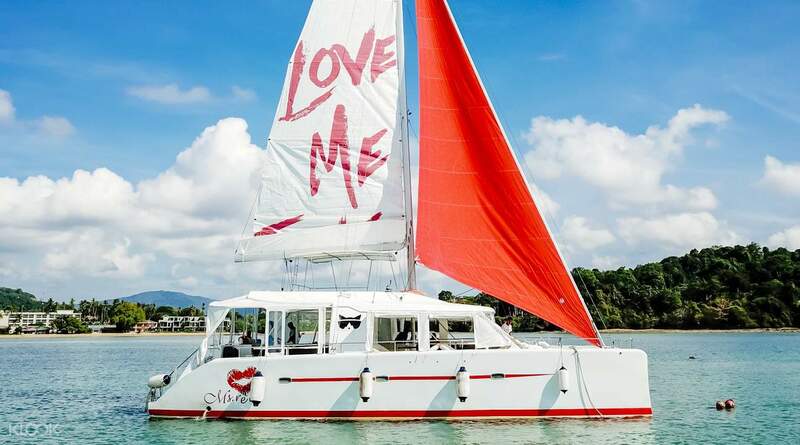 Personally feel that 20ppl is quite crowded inside the silver sailor catamaran. It could be better if we able stay and enjoy more time at each island for activities. free flow water, cola, coconut was provided as well as snorkelling equipment and towel. photograph was purchase at own cost if you wish to. overall it worth the price. nice and interesting trip. tour guide was friendly and helpful. his team crew too. Personally feel that 20ppl is quite crowded inside the silver sailor catamaran. It could be better if we able stay and enjoy more time at each island for activities. free flow water, cola, coconut was provided as well as snorkelling equipment and towel. photograph was purchase at own cost if you wish to. overall it worth the price. This was supposed to be a catamaran tour with scuba diving. I paid for the same however the operator at pier said that there is no scuba as he had no idea from klook about it. Tried speaking with klook but least help recieved from them to convince the operator finally the tour was competed without scuba and operator asked to get refund from klook. Also there were 3 more tourist and each had different bookings. My booking was for racha and coral while the others had racha and maithon. The operator was insisting for racha and coral but the other tourists convinced him for maithon and only lunch at coral. The experience at maithon was good but overall disillusionment as could not do scuba for which me and my family were expecting a greet experience. Klook should manage this properly as the tourist dosent come regularly so far. Refund has to be done but time and opportunity is lost with some amount of stress. Klook please refund my money. This was supposed to be a catamaran tour with scuba diving. I paid for the same however the operator at pier said that there is no scuba as he had no idea from klook about it. Tried speaking with klook but least help recieved from them to convince the operator finally the tour was competed without scuba and operator asked to get refund from klook. Also there were 3 more tourist and each had different bookings. My booking was for racha and coral while the others had racha and maithon. The operator was insisting for racha and coral but the other tourists convinced him for maithon and only lunch at coral. The experience at maithon was good but overall disillusionment as could not do scuba for which me and my family were expecting a greet experience. Klook should manage this properly as the tourist dosent come regularly so far. Refund has to be done but time and opportunity is lost with some amount of stress. Klook please refund my money.